Servus and welcome back, dear Steampunk friends! or become one of our chosen Top3 for the 2D or 3D collections. All you have to do is enter a project to our challenge via inlinkz in the challenge post (following the theme and the challenge rules). You can also apply for being Guest Designer with one of our challenges by adding a "GD" to your name when using the inlinkz tool! But now on to this month's spotlight! And some great news (well, no real news exactly but more a bit of a teaser ;) along with that: we are happy that we will be able to introduce two new members who have joined our DT and will be with us from March! So come back for the March challenge to learn more about who they are and what they have in store for you! and her most fantastic time machine! "... her project is really impressive, with all the small elements and the background that is so in sync with the alarm clock insides." 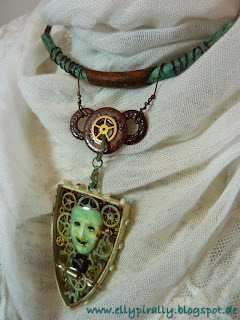 "...As one her first Steampunk projects I think that it has succeeded very well for Kasia. There is no doubt that it is a time machine that can bring us to where we want - by the way, is Kasia still here on Earth?" Honestly, regarding all the intimidating wires and gears, gauges and spinning hands I wonder too if Kasia has already left this time universe to travel to an alternative one where she discovers the most exciting or terrifying things. Let's hope she has not altered any timelines she shouldn't have! Well done, Kasia! We love your time machine! Please, feel free to grab the badge for your blog! 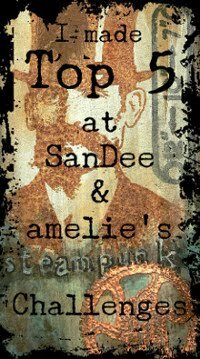 Servus and hello, dear Steampunk friends! Time to announce our prize winner and Top3 from the January challenge! First I want to thank you all for the wonderful and numerous entries! What could be more great a reward than having a lot of folk who want to join in our challenges and by doing so make this place a special meeting point for all those who love creativity with a touch of Steampunk! Please let me know your shipping adress via e-mail so I can forward it to Di from Tando Creative! 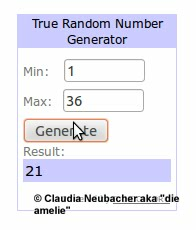 Congrats and have fun with the goodies! Huge congrats to all our winners! Very well done! (And as always choosing was really hard as we loved all the entries). Please, feel free to grab our Top3 badge for display on your blogs! 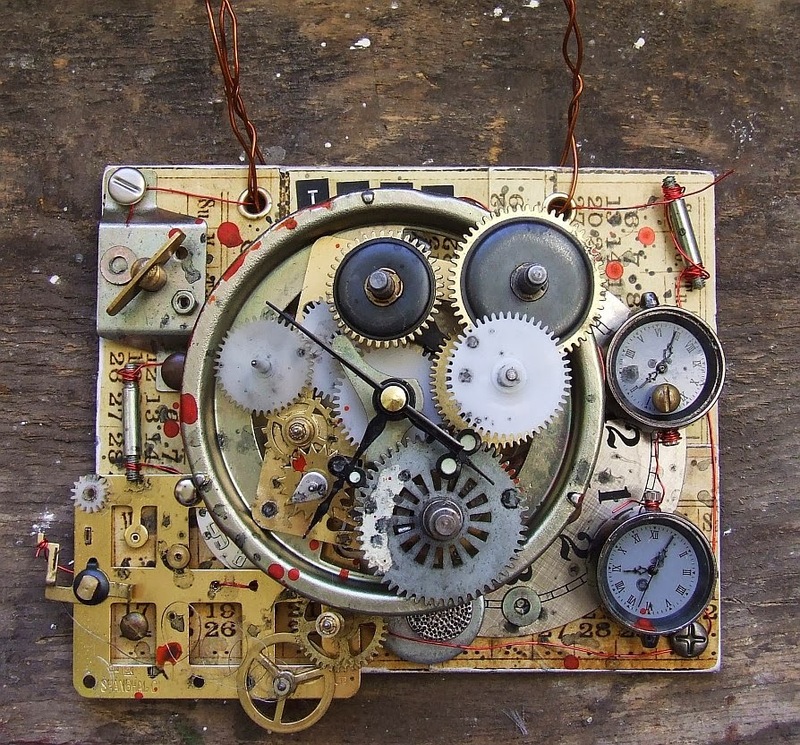 The February challenge is already open and we want to see your "Time Machines" - so why not join in and share some Steampunk fun with us? 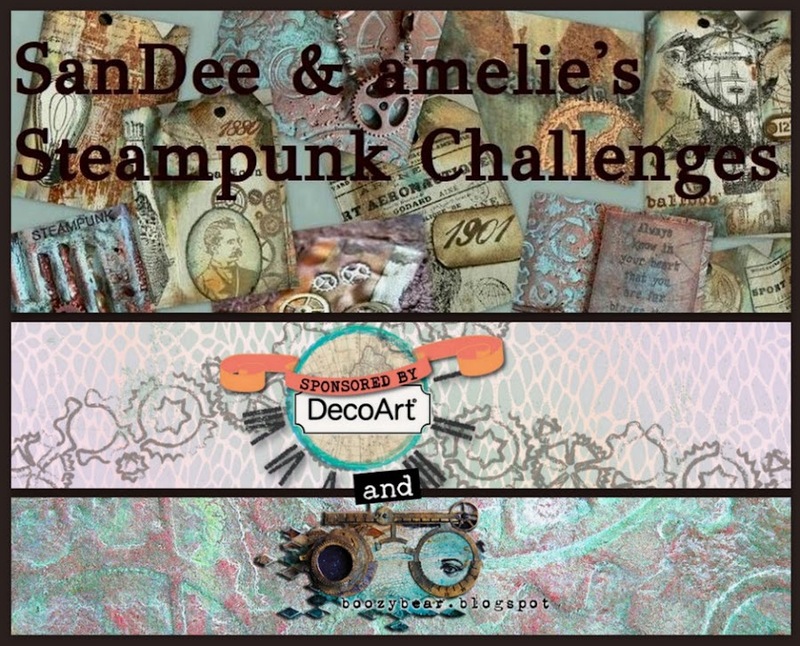 The February Challenge - "Time Machine"
Welcome to another edition of SanDee&amelie's Steampunk Challenges, dear Steampunk friends and crafters! 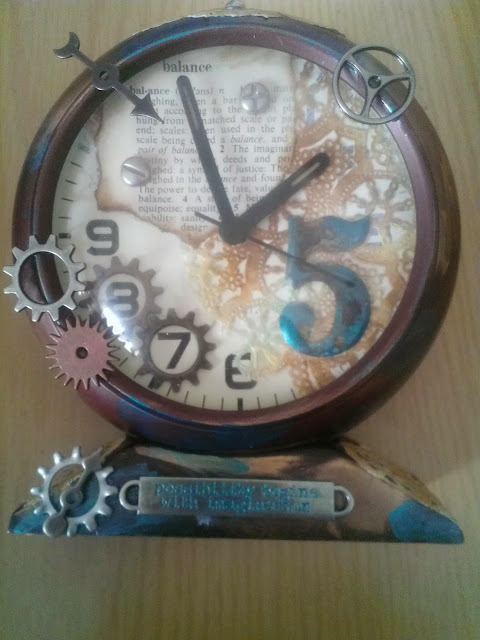 Whatever comes to your mind is good as long as it is Steampunk and fits the theme and our challenge rules! Thank you so much for all the wonderful entries for our "Use Your New Stash" challenge! The team will have a hard time choosing their Top3 and we will announce them shortly after nex Saturday (due to school holidays over here and us being off for some skiing), so, please, check back next week to see if you are among our Top3 or the randomly drawn prize winner of the Tando Creative prize. 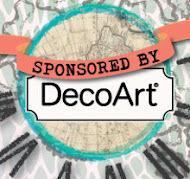 But now on to our Guest Designer for this month. Mein Name ist Sabine und ich lebe in einer kleinen Stadt in Deutschland mit meinem Mann. Ich bin Mutter einer Tochter und eines Sohnes. Ich liebte es seit meiner Kindheit, zu zeichnen, zu malen und zu basteln, und mit verschiedenen Materialien zu experimentieren. Ich hatte einen sehr langweiligen Bürojob, also machte ich kleine Kunstwerke in meiner freien Zeit. Malerei und Kartenherstellung sind jetzt meine Favoriten. Ich mache aber auch gerne Schmuck , und trage ihn auch sehr gerne. Ich habe schon viele kreative Techniken ausprobiert, z.B. Töpfern, Fimo und vieles Andere mehr. Meine Zeitmaschine für diese challenge wurde aus Fimo gemacht. My name is Sabine and I live in a small town in Germany with my husband. I am mother of a daughter and of a son. I loved to draw, paint and craft, using different materials ,since my childhood . I had a very boring office job, so I made little artworks in my free time. Painting and card making are my favourites now. I also like to make jewelry, and I like to wear jewelry. 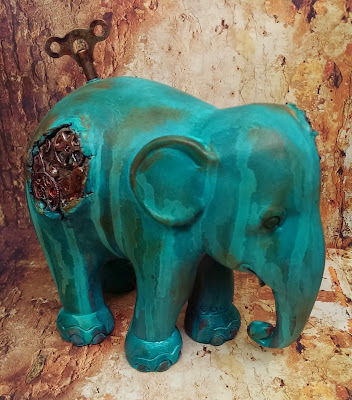 I have tried many creative techniques, such as pottery, polymer clay and many other more. 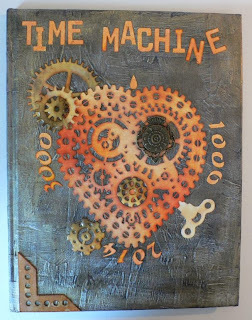 My work for this challenge, the time machine, is made with polymer clay. Awesome, isn't it? Thank you so much, Sabine, for being with us and sharing some of your lovely art with us! worked her magic again by altering a book. 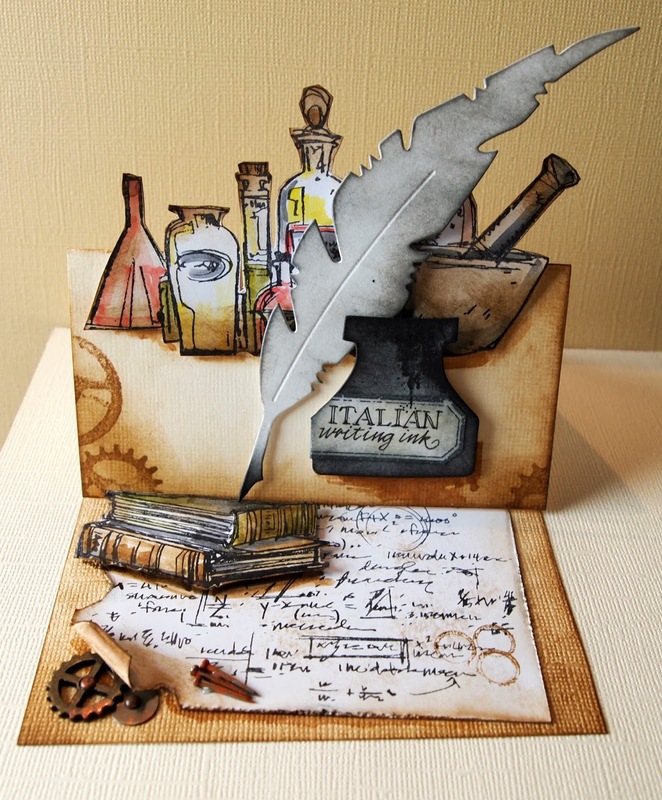 To see and learn more about details or how tos hop over to the blogs of the DT members - they really put a lot of love and effort in their makes to inspire you. Our challenge is - as always - open until the end of the month. Please, check the callenge rules on top of our blog page so you make sure your entry can be counted in. Oh, and see to it that you enter your make to the correct collection as we divide into 2D and 3D makes (which we choose separate Top3 from too). This month's sponsor and prize will be announced around mid-month. So come back then to check it out. We look forward to seeing your Time Machines entered soon!